Given the furore around Apple devices, the fanatical devotion of many of the company’s customers and the world’s currently unquenchable thirst for retro-themed products, these limited edition iPhones aren’t likely to be difficult to sell. Created by ColorWare, only 25 iPhone 6s and 6s Plus models will go on sale, with prices starting from $1,599 for a 16GB iPhone 6s and rising to $1,799 for the 128GB model. Prices for the larger 6s Plus option start from $1,699 and rise to $1,899, making it about twice as expensive as a regular iPhone. The company says the design was inspired by the Apple IIe and uses a matte vanilla-colored exterior and fake vents to recreate the overall feeling. 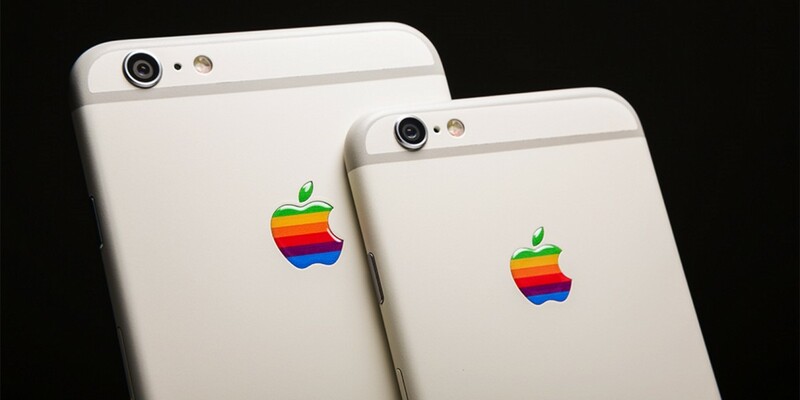 The handsets also have the 80s version of Apple’s rainbox logo. As I said before, ColorWare is going to have no problem whatsoever in selling these. If you’re interested, you can buy one now and it should ship in about four weeks.